How can accessibility in tourism be improved? What are the benefits of accessible tourism? It has 3 parts where each part is dedicated to one VIP group, that each play an important role in the development of accessible tourism: Visitors, Tourism Industry, and Policy Makers. 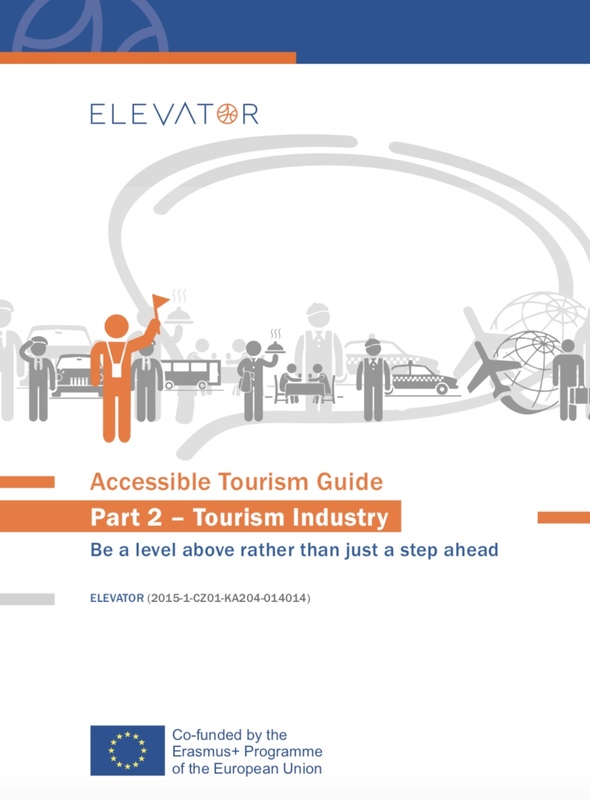 This chapter (Part 3.2): “Be a level above rather than just a step ahead“, focuses on Businesses in the Tourism Industry, i.e. tourism service providers, who should meet the accessible market demand and make their business more competitive and sustainable. End-users: Tourism providers, destination managers, tourism policy makers, teachers and students of tourism and hospitality. Download the report in PDF format from the right-hand panel in Czech, English, Greek, Italian and Slovenian. Disclaimer: The European Commission support for the production of this publication does not constitute an endorsement of the contents which reflects the views only of its authors, and the Commission cannot be held responsible for any use which may be made of the information contained therein.